Pictured: Various weather maps indicating cloud cover and the chances of rain over Southern Africa (RISA and LandWater). For the past three days residents of Windhoek welcomed a bit of relief from the extreme heat that afflicted them for the past few weeks as welcome rain fell for the past few days over large parts of the city. Rain in the Namib Desert at the central parts of the Namibian coast also surprised residents of Swakopmund and Henties Bay on Saturday. The light showers along the coast were also observed as far north as Terrace Bay. Certain parts of central and northern Namibia also received good rain over the past 48 hours and Aranos and surrounding areas in the south west of Namibia experienced heavy showers. No official rain measurements are available but at Ruacana and Etunda at least 13 millimetres of rain fell on Friday that continued into the evening. On Sunday more rain feel in the Omusati Region. The area of Grootfontein also received good rains with as much as 34 millimetres measured in places on Sunday. At Okahandja residents measured seven millimetres after a thundershower over the town. 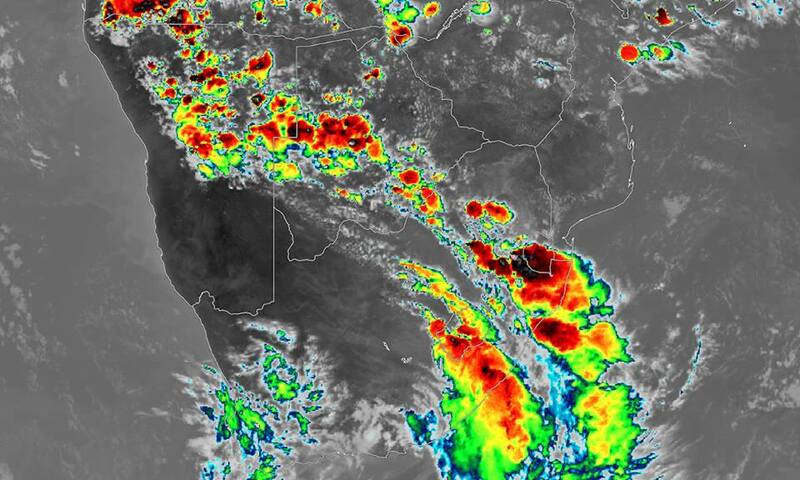 According to the Namibia Meteorological Service and other sources more rain in the form of thunder showers are forecast for the central and northern areas of the country. 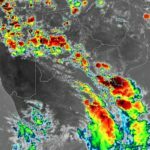 Certain parts of the central north and north east as well as central Namibia has an 80 percent chance of rain tonight as conditions cool down. For the rest of the country hot and very hot conditions are forecast. From Sunday onward only partly cloudy and warm conditions with fog patches are predicted for the coast.